My Little Trees quilt Pattern is finished! 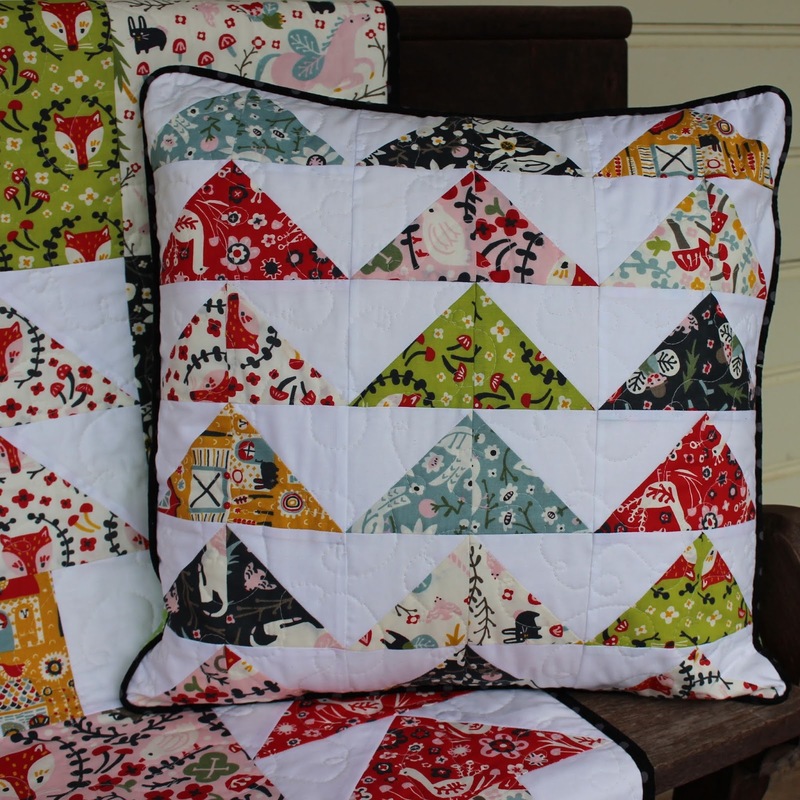 The pattern also includes the instructions for the cushion which is made from scraps left over from the quilts so there is no waste! 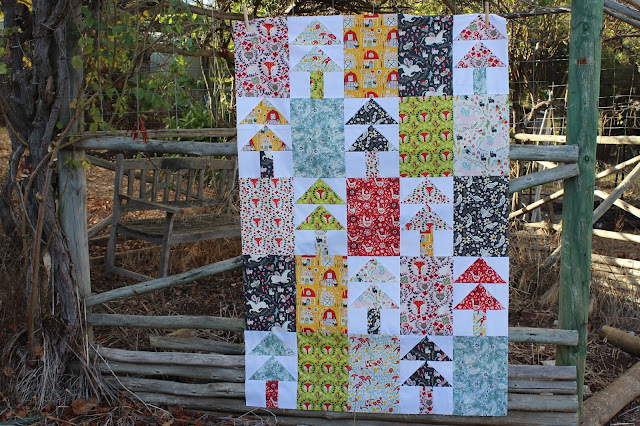 This is the perfect pattern for a beginner and at 40" x 60" would make a great baby present. 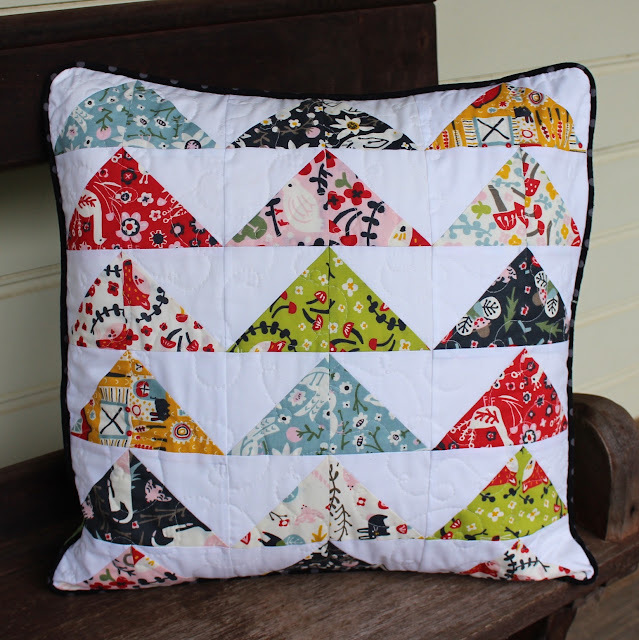 I used Folkland by Birch Fabric for mine, but any bundle of 10 fat quarters is perfect for this pattern. 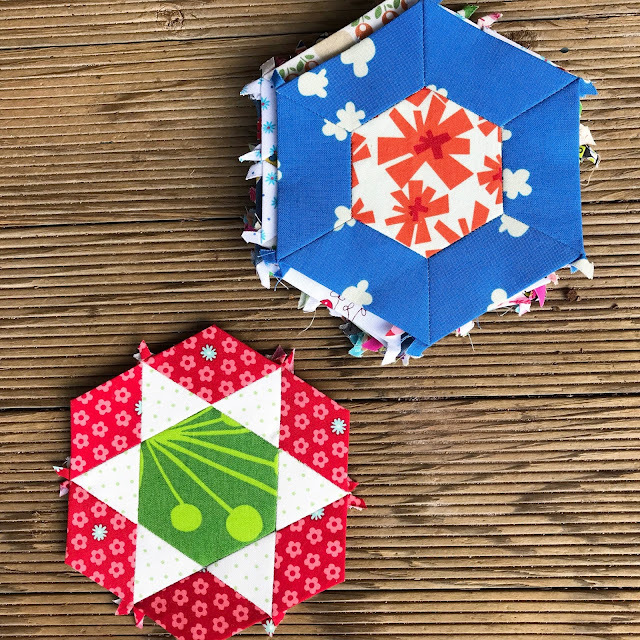 You can find the PDF pattern on Craftsy and in my shop. 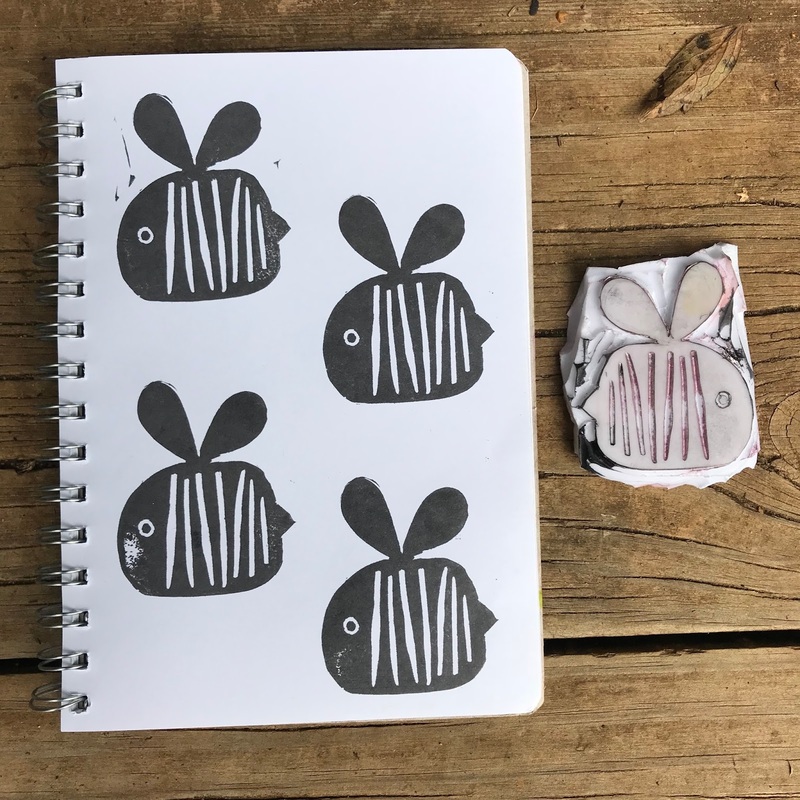 I'm really enjoying stamp carving at the moment. 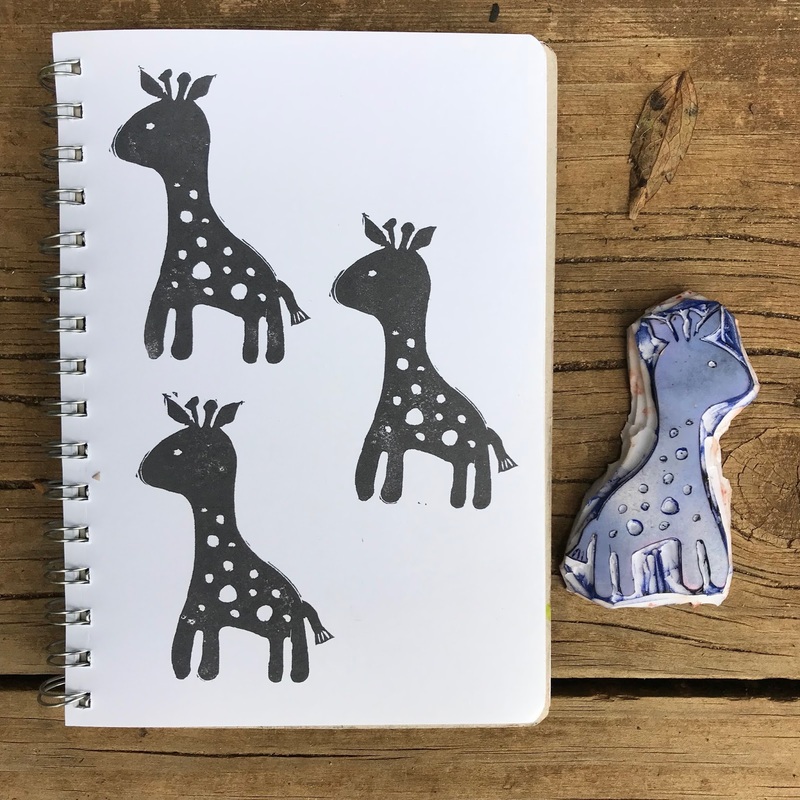 Even if you only have 15 minutes you can carve a small stamp. 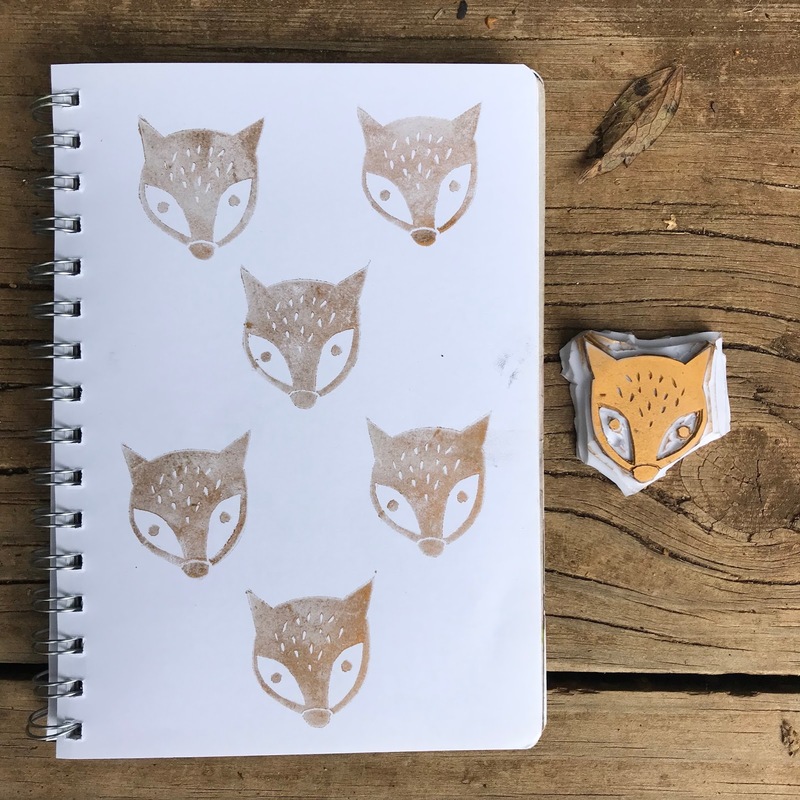 Here's a few I've carved recently and yesterday I found time to print on some fabric - I'll post about the results of that soon! You can find the cutest prints in Spotlight if you have time to rummage through the piles. 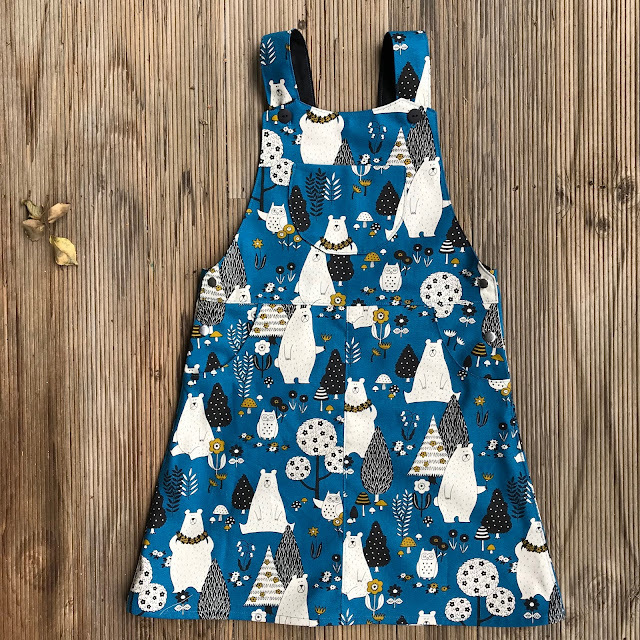 I couldn't resist this cute forest print for Olive. 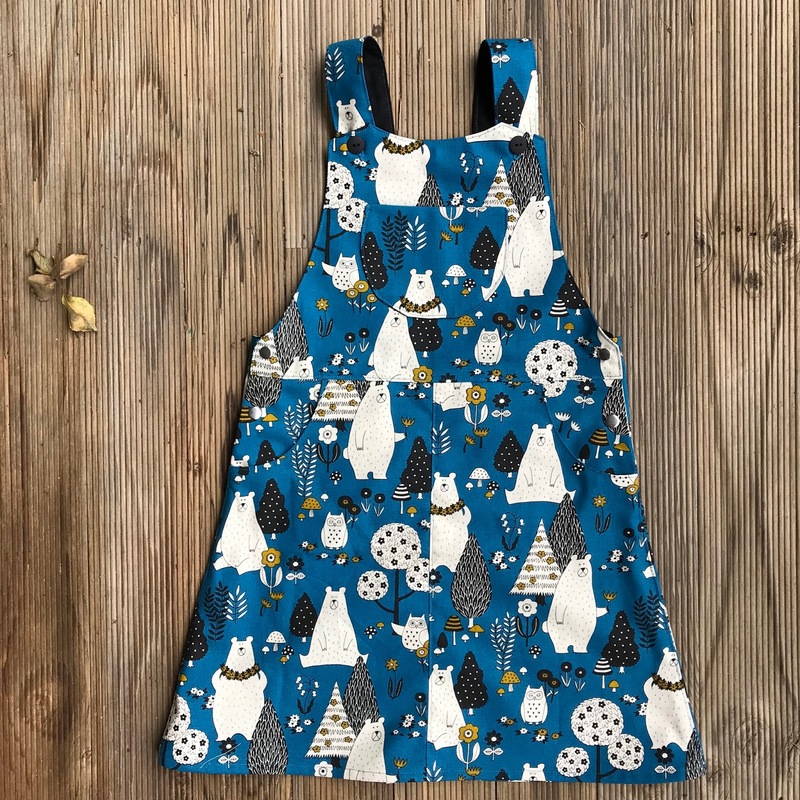 Perfect for a pinafore. I used the Bloomy Girl Pinafore by Puperita. 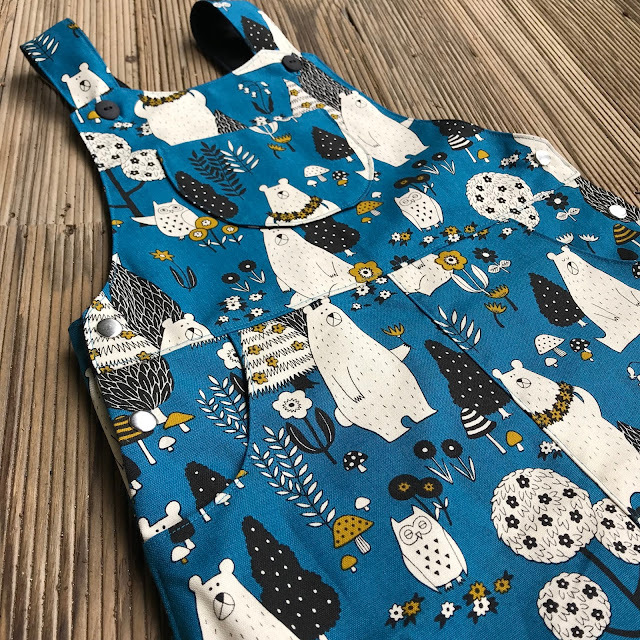 It's a good pattern, the only thing I would change if I made it again would be to size up, I made a size 6 and I don't think it will fit Olive for long. 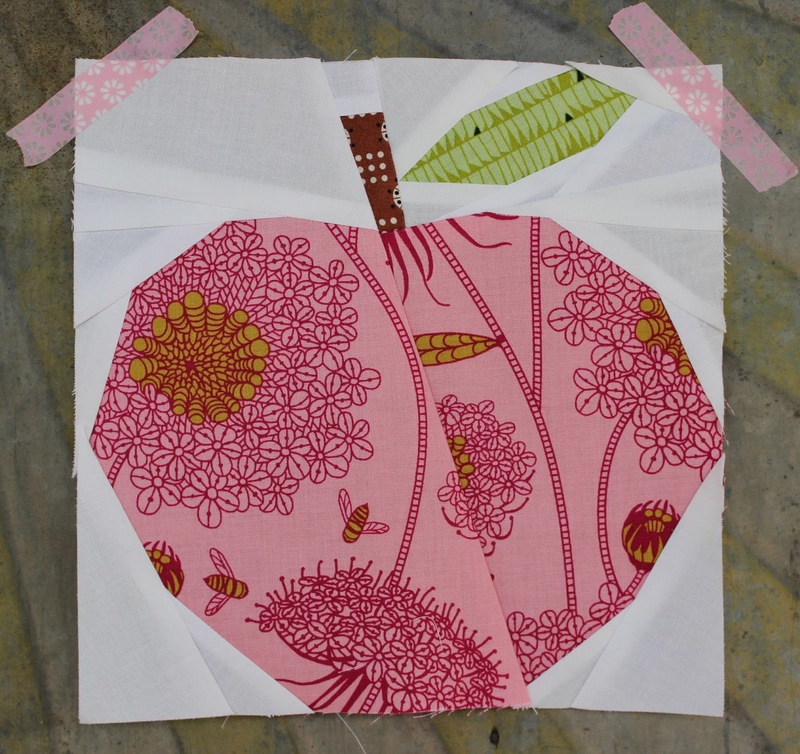 My Foundation Pieced Apple pattern is now available. The pattern includes templates for two sizes - 6"x6" and 8"x8"! You can find it in My Shop or on Craftsy. 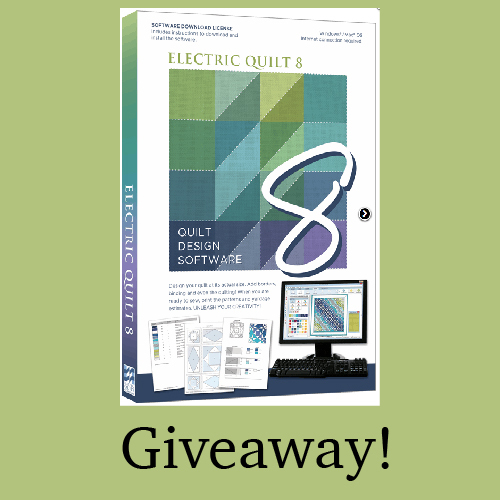 I love designing in Electric Quilt and I have a copy to give away! You need to go to my Instagram post and leave a comment! 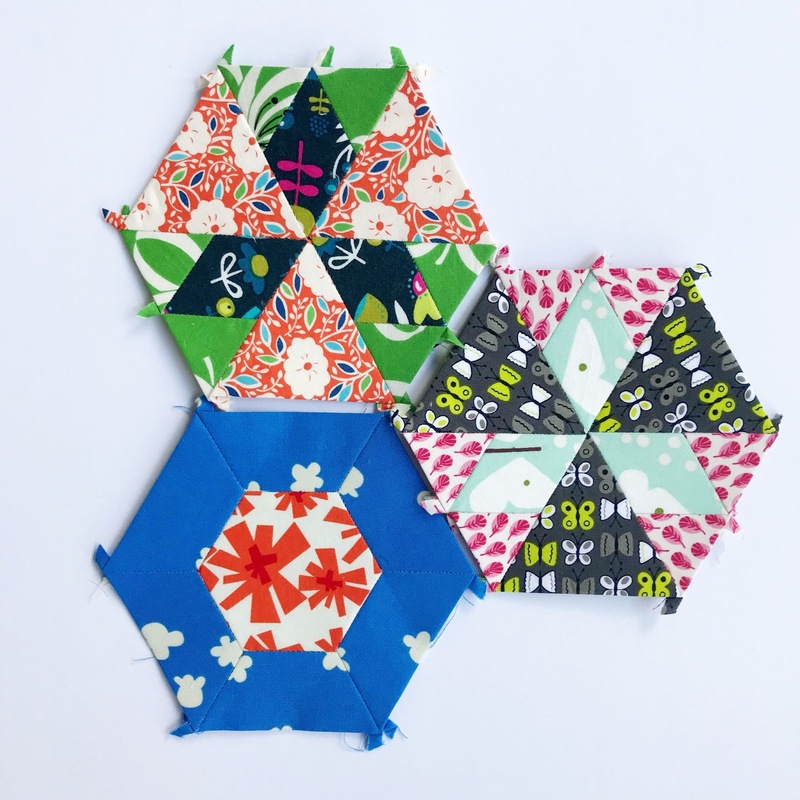 While I was in Portland for Quilt Market the wonderful Jenny from Martingale recorded me talking about how I choose fabrics for a scrappy 2 or 3 coloured quilt. 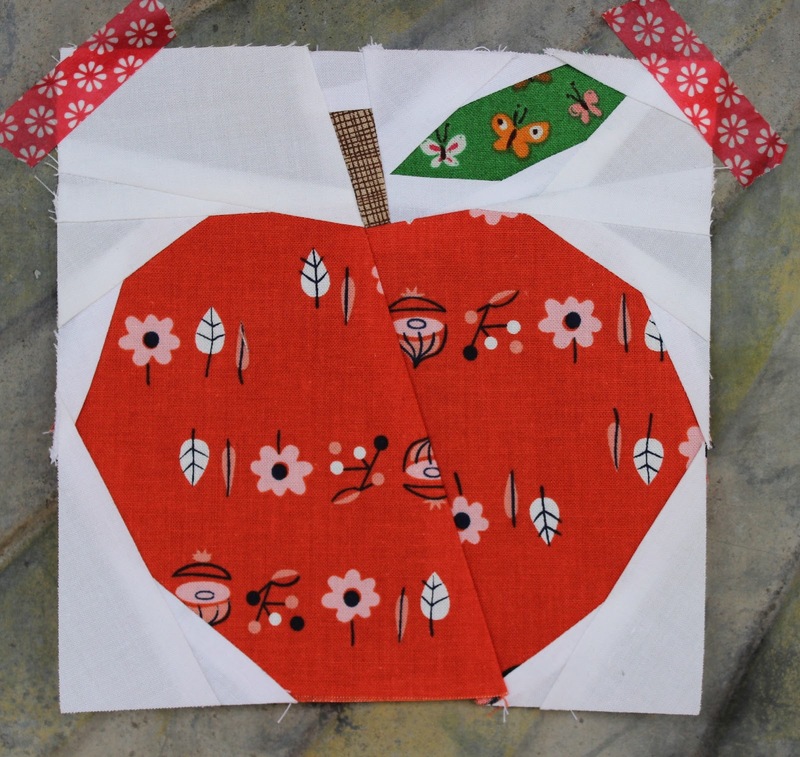 You can see it below and go to the Martingale Blog to read more about my fabric and colour choices! 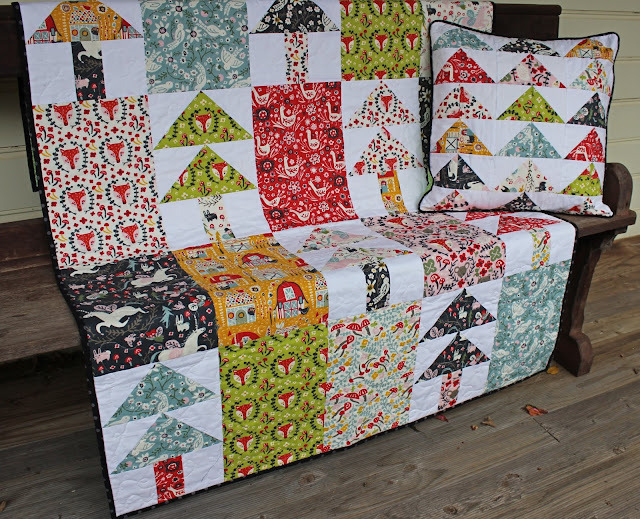 And check out my book Scrappy and Happy Quilts to men your own scrappy quilt! I love it when a new Ottobre magazine appears in my mailbox. I really like this hoodie for the older girls. 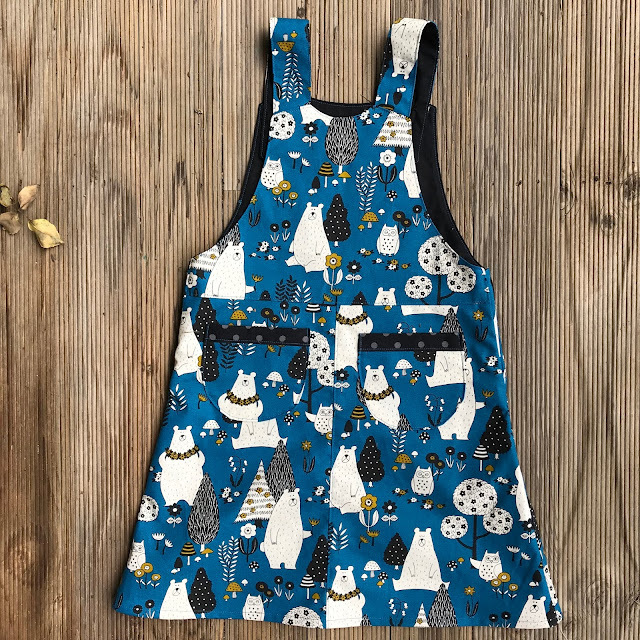 And this would be a great jacket for Olive. 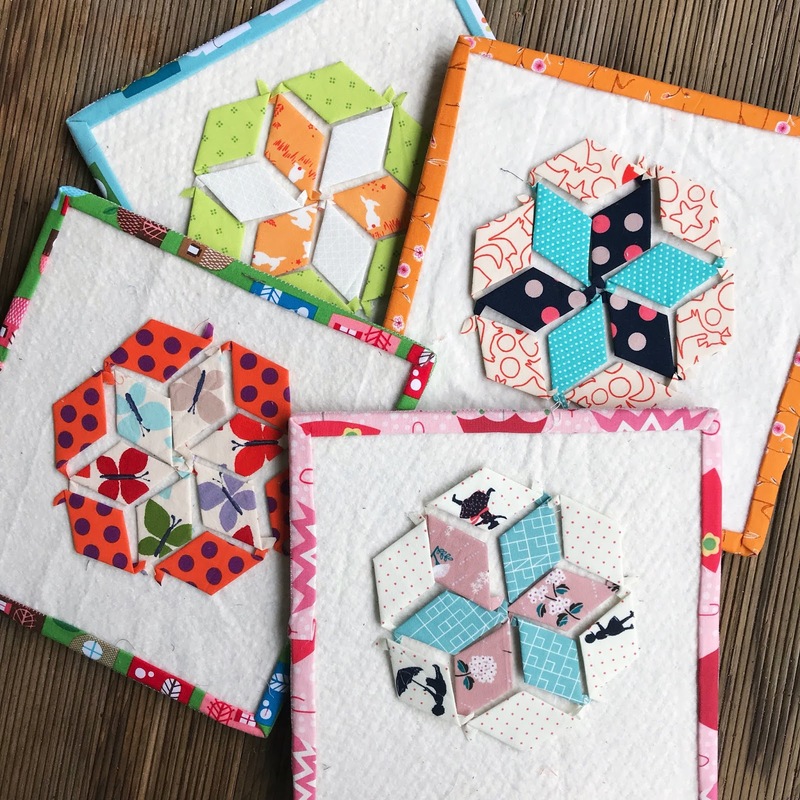 Slowly, slowly working on my Smitten Quilt.